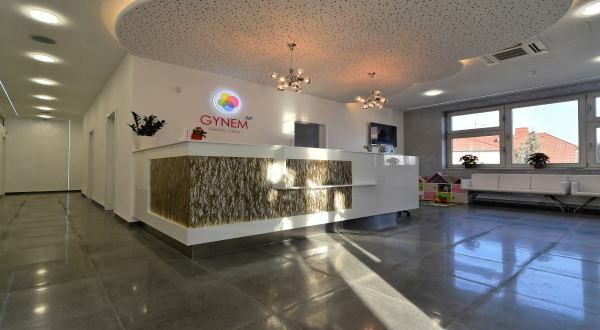 Gynem IVF clinic is located in Prague in the Czech Republic. It is a private facility which opened in September 2013. The building is brand new and the interior purpose built for the clinic. The clinic has one theatre and one laboratory. 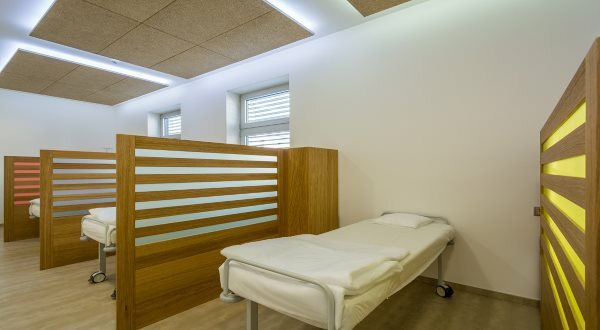 The recovery room can accommodate up to 6 patients and privacy is ensured throughout. Since 2013, they have undertaken more than 2600 treatment cycles. There are no waiting lists and personal attention is assured. 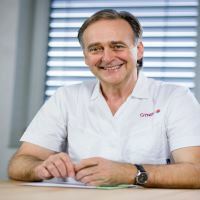 The clinic is family run and the medical director is Dr Milan Mrázek PhD. MBA. He has 37 years of experience in Obstetrics and Gynaecology and 24 years of experience in Assisted Reproduction. There are five doctors in total. There are two embryologists. The senior is Dr.Tomás Rieger who is an ESHRE certified embryologist with 10 years of experience working in an embryology laboratory. There is also an International Team who of three who speak both English and German. Their role is to be the point of contact with you and the clinic and to offer support and advice. In the case of the basic package, if at least one embryo suitable for transfer is not yielded, a new donor will be provided at no extra charge. In the case of the comfort package, a new donor will be provided if fewer than six eggs are harvested or if fewer than two embryos suitable for transfer are yielded. If the first and second fresh cycles are not successful (negative biochemical pregnancy test), a third will be offered either for free (Comfort Package) or at a 30% discount (Basic Package). This will come in the form of a shared cycle, in which case we guarantee four harvested eggs and one healthy embryo for transfer. For the guarantee to apply, sperm must be of sufficient quality (in a state of ‘normozoospermia’), and the recipient must suffer from no autoimmune diseases, natural killer (NK) cells, or uterine fibroids. Also, any frozen embryos remaining from one cycle must be used before the next fresh cycle may commence. The cost of the first consultation is 150 Euros but this is deducted from the final price if treatment commences. Embryo monitoring costs 500 Euros. Sperm freezing costs 350 Euros including 1 years’ storage. Embryo freezing using the vitrification method costs 600 Euros including 1 years storage. There are some extra costs to add on – blood tests, possible ECG if over 40, medication for stimulation (approx 600-1000 Euros) and storage each year (first three years are included in the price). The cost of a frozen embryo transfer is 900 Euros (+500 Euros for ICSI). Use our IVF Cost Calculator to help calculate your costs. The clinical pregnancy rate for egg donation is 63%. For IVF using own eggs it is 47% overall. So far, the breakdown of nationalities of patients treated is 25% Czech, 20% UK, 15% Germany, 20% Italy, 15% Russia and 5% other. 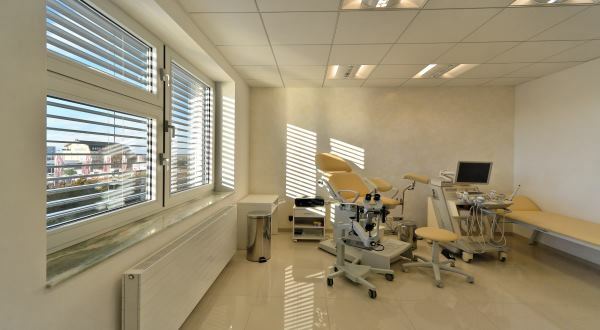 It conveniently has parking spaces for those travelling by car, although the clinic can also be accessed via the Subway (Kobyliské námestí) or tram (Vozovna Kobylisy). It is about 15 minutes from the centre of Prague. The clinic cooperates with Medical Travel. This is an agency which will help arrange travel and accommodation amongst other things. Use the form below to contact Gynem if you need some more information on IVF costs, success rates, clinic experience or anything else. There's no commitment. At GYNEM in Prague we received clearer medical advice and better medical care than at clinics in other parts of the world. GYNEM has top processes in place. Dr Milan Mrazek, Dr Tomas Rieger and Jana Poupe always gave us very clear information and advice which instilled confidence in us. They are kind, helpful and responsive. Jana is wonderful and makes you feel as though you are her only patient. Don't know how she does it!! Prague is a safe and beautiful city. The clinic is only 20 mins from the centre. Having previously had an unsuccessful and expensive round of IVF in the UK that left us with no frozen embryos we felt our only option was to save up the £6000 to start the process again until a friend of mine said she had heard a lot of women going to Prague and have successful IVF treatment for a third of the cost we started to research our options. Having a speedy response from Gynem clinic and finding their success rates were 47% (compared to 23% at my clinic in the UK) we chose to use them. We were anxious at first going for treatment abroad but I had constant communication and a skype consultation with the physician to put my mind at ease. You are asked for a lot of test results (most of which you can get from your GP - others you can get privately) at the time this seemed a lot to do but I really believe this information is vital to choosing the best drugs protocol for you, I felt in the UK it was one protocol fits all. You are then sent all the drugs in the post along with the information how to take them. The only downside is that you can't always rely on the post and we nearly missed a cycle due to the drugs being late but the clinic arranged for a next day delivery and sent a new batch of drugs and we returned the original once we were in Prague. The communication is excellent, you have a lot of contact with your own coordinator if you have any queries you receive a quick response and there is a 24 hour helpline. Once we got to Prague the whole process was seamless, they will arrange taxi's to and from the clinic. I also found it great that following egg retrieval I got a daily update as to how the embryo's were progressing. On the day of transfer you also have a consultation with the embryologist (I didn't get this with my clinic in the UK). They managed to get 5 top quality blastocysts (I only got 1 grade 2 at day 5 in the UK so really believe the drugs protocol is vital) we had 2 transferred which resulted in a pregnancy, sadly this pregnancy was ectopic. A few months later we returned to Prague for our Frozen Embryo Transfer, 2 blastocysts thawed to a top grade standard so we had them both transferred and I am now 14 weeks pregnant! Prague is a beautiful city and a place my husband and I will hold close to our hearts forever. 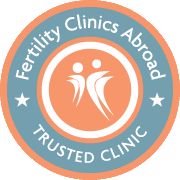 The costs are a fraction of the UK and the results are amazing, it seems scary at first to go abroad but the clinic are always there if you have any questions or fears. I would highly recommend Gynem Clinic and they have made our dreams come true!